Get a sense of the local culture at Rock Church and Sea Fortress Suomenlinna. Your inner history buff will appreciate Helsinki Cathedral and Seurasaari Island and Open-Air Museum. 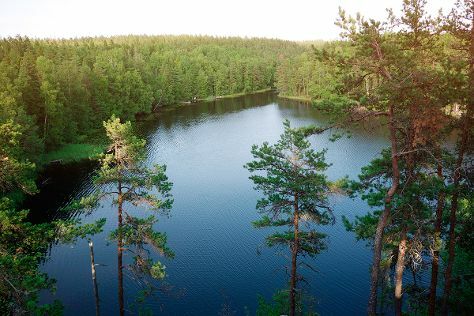 Step out of Helsinki to go to Espoo and see Nuuksio National Park, which is approximately 46 minutes away. There's still lots to do: shop like a local with Market Square Kauppatori, stop by Artisaani, browse the different shops at Kamppi Shopping Centre, and get to know the fascinating history of The Esplanadi Park. For where to stay, photos, other places to visit, and more tourist information, read Helsinki online travel planner . Abu Dhabi, United Arab Emirates to Helsinki is an approximately 11.5-hour flight. You can also do a combination of bus and flight; or drive. The time zone changes from Gulf Standard Time (GST) to Eastern European Time (EET), which is usually a -2 hour difference. Traveling from Abu Dhabi in July, things will get cooler in Helsinki: highs are around 25°C and lows about 15°C. Cap off your sightseeing on the 12th (Fri) early enough to travel to Vaasa. Start off your visit on the 13th (Sat): head off the coast to Kvarken Archipelago World Heritage Site. For where to stay, maps, other places to visit, and more tourist information, go to the Vaasa trip planner . You can fly from Helsinki to Vaasa in 3.5 hours. Alternatively, you can take a train; or drive. Expect a daytime high around 23°C in July, and nighttime lows around 13°C. Finish your sightseeing early on the 13th (Sat) to allow enough time to drive to Turku. Kick off your visit on the 14th (Sun): take in the exciting artwork at Photographic Centre Peri, explore the historical opulence of Turku Castle, and then stroll through The Archipelago Trail. Keep things going the next day: browse the different shops at Kauppakeskus Mylly, then browse the different shops at Turun Kauppahalli, and then contemplate the long history of Turku Cathedral. To see where to stay, other places to visit, reviews, and tourist information, use the Turku tour itinerary planner . Drive from Vaasa to Turku in 4 hours. Alternatively, you can fly; or take a train. 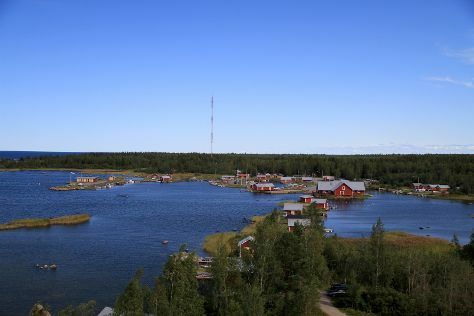 In July, daytime highs in Turku are 24°C, while nighttime lows are 13°C. Wrap up your sightseeing on the 15th (Mon) to allow time to travel back home.